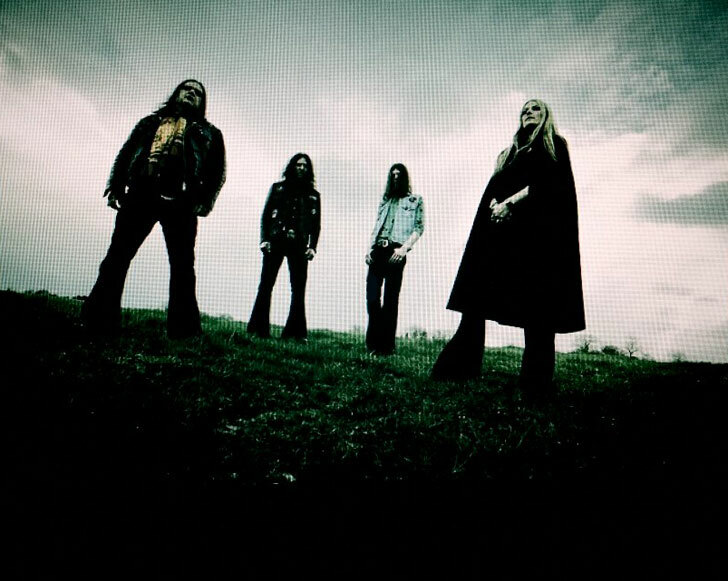 Remember the US tour in 2002 Electric Wizard did with Sons of Otis and Unearthly Trance? It’s quite likely you don’t, because the shows were sparsely attended and it was pretty much a disaster. Years later vocalist/guitarist Jus Oborn admitted it was a big reason why the band had no interest in coming back to the States for another proper tour. Luckily things have changed quite a bit since then. The band has yet to return to North America for more than a one off at the Maryland Deathfest in 2012. But no longer is Electric Wizard some cult stoner band with only a handful of fans around the globe. It could be their persistence or the power of the web, but the band has a solid fan base that has been growing steadily with the release of each new album. For those of us whose gateway drug into the band was Dopethrone or Come My Fanatics it’s been a while since the band has lurched forward with a batch of songs with the potential to push glaciers across the earth. 2007’s Witchcult Today hinted at it and 2010 Black Masses was a raw, gritty beast of an album. But neither quite captured the raw, primal doom of the classic Oborn/Bagshaw/Greening line-up. But all of that is about to change with the band’s new full length Time to Die due out September 30th. The 11 plus minute behemoth “I Am Nothing” was posted online this week and starts off with a death march courtesy of drummer Mark Greening (who returned and then exited the band this year). Then around the 40 second mark the main riff hits you like an unmanned container ship slowly pushing through the loading docks and into whatever else happens to be in its path. It’s at that moment you will know exactly what we’re in for. Complete sonic destruction.